It’s Thanksgiving time—a time for family, food, and counting our blessings. For parents, it’s also a great opportunity to encourage gratitude, which is significant because gratitude can not only make your family happier, but healthier as well. When it comes to keeping our families healthy, parents often focus on physical, external factors, such as the foods we prepare, the amount of exercise we allow for each day, the cleanliness of our home, and the amount of sleep everyone gets. And while these lifestyle elements are important, so too is our mindset. The mind-body connection has a significant effect on our health. 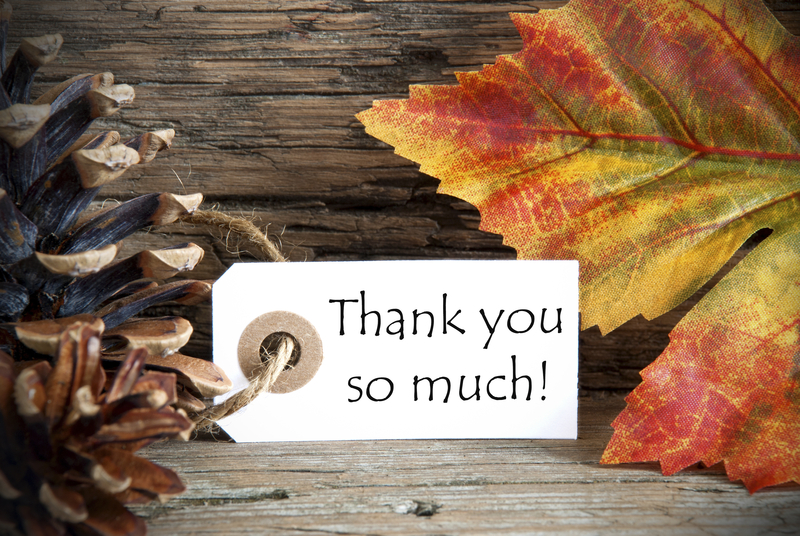 Studies show a regular gratitude practice can lead to improved health. Emmons’s research suggests that consistently grateful people enjoy improved physical conditions, including boosted immune systems, less stress, and a propensity for maintaining a better diet, and more physical activity. Other researchers have found similar results when studying the effect of practicing gratitude. The journal Applied Psychology: Health and Well-Being presented findings of a study that correlated gratitude with improved sleep. Participants who wrote down what they were grateful for 15 minutes before bedtime fell asleep faster and stayed asleep longer. So, at this time, when the world is about to gear up for a manic shopping spree, it is prudent to set our family’s focus—not on the unfulfilled needs advertisers try to convince us we have—but on the great abundance our lives inherently enjoy. It is this shift—from a sense of lack to a feeling of abundance, from counting burdens to counting blessings—that can lead to overall better health. Let’s dig into this simple, enjoyable, and beneficial activity. Here are four ways to encourage an “attitude of gratitude” in your family. Thanksgiving presents a great opportunity to begin to feel the effects of gratitude. It won’t work, however, if you focus only on turkey and football. 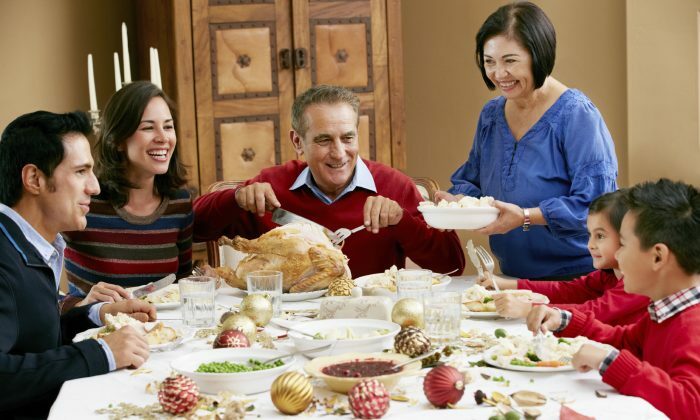 At dinner, be sure to talk about giving thanks with your family and the things you are thankful for. My family enjoys the classic construction-paper chain, where each day we write down something we are thankful for on a link. It grows throughout the month of November, and we are left with a long, physical representation of how blessed we are. For other fun ideas, check out these Thanksgiving Turkey Puppets, this Thankful Turkey Book, and this beautiful Thankful Tree. Encourage every member of your family to keep a gratitude journal. Give your family members their own journal like this one to keep at their bedside. Support them in forming a habit of writing in it before bedtime, focusing on things they are grateful for in their lives. Young children can dictate to parents what they’d like to write or draw pictures of things they are grateful for. A hand-written thank you note is a gift to both the recipient and the sender. Regularly sit down and send thank-you notes to anyone you can think of to thank—grandparents for helping out with the kids, far-away relatives for thinking of you on your birthday, neighbors for sharing their freshly baked cookies with you, teachers for all they do for your kids, the garbage collectors for the important contribution they make in your life, a restaurant you visited recently for the excellent service, and so on. Once you begin to think of all of the people you can thank for so much in your life, you’ll likely be overwhelmed with a sense of true gratitude. Dive into a gratitude practice with your family this holiday season, and keep it going the whole year for improved health and well-being for all.